Shri Agrahar Nagraj Sarman was born on 14th January 1920 in the village of Agrahar, near Ramnathpura, Hassan Dist,Karnataka. The family belonged to the ‘sanketi’ community, and was revered at that time for their scholarship, service (seva) and hard work. Since the age of 5 of itself, young Nagraj had questions regarding the respect that the others in the village bestowed on his family. On questioning, he was informed that his family had produced scholars since many generations, hence the respect. 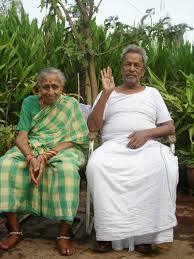 Nagraj did not show any interest in the scriptural studies in his family tradition (vedas). He did not receive any formal schooling. His family was quite upset with his cross questioning and lack of scholarship. During his late teens, Nagraj started studying the scriptures in order to understand them and escape being called a fool by his relatives. On doing so, he felt there were major inconsistencies in the scriptures that his family held in utmost esteem (advaita moksha interpretation, of the vedanta). How could the world that has arisen of the ultimate truth brahman be mithya or false? Why is there is a difference in what his elders said and how they were? While India was to gain Independence soon, what is the definition of National Character? This was in 1946. Pained by these questions he visited many learned men of the time, including sri ramana maharishi and sri chandrashekhar bharati of sringeri amongst others. They told him the only way to get answers was to see the state of Samadhi. Based on their assurance, he decided to attempt the penultimate stage in Indian Vedic thought – Samadhi, in which the ‘unknown is said to become known’. He arrived in the then remote, dense, tiger infested forests of Amarkantak with his wife in 1949 – he was 30 years old then. He performed rigorous sadhana (meditative practice) between 1949 and 1968 using the Agama tantra upasana method. He went on to realize/experience samadhi after 18 years of rigorous practice, 12 hours a day. When his basic question was unanswered even after attaining the final Samadhi in 1968, he went on to perform an advanced stage called sanyam using a self improvised method. As a result, he was a direct witness to the ultimate reality & truth – he had realization of the fundamental nature, origins and purpose of life and the universe, of the human being and human purpose. All his questions were answered, and more. <quote> “Prior to Existence based human centric contemplation, I (Agrahar Nagraj, village: Agrahar, District: Hassan, State: Karnataka, India) was initiated in the practice of worship in accordance with “Spiritual knowledge- Vedic thought” . In order to quench my curiosity, I accepted the completion of the task of ‘sadhana’*, ‘samadhi’* and ‘sanyam’*. Consequently, during the period of ‘sadhana’, in the state of ‘sanyam’, I attained understanding through ‘Realization’ of ‘existence itself being and operating as co-existence’ and subsequently presented ‘Madhyasth Darshan- Sah Astitvavaad’ as a new philosophy. Accepting that what he had ‘discovered’ belonged to the entire human race, superseding religion, race & belief, he started writing it in literature form from 1975 to 2005 – by when it assumed the form of the madhyasth darshan literature. He has presented this an as Alternative to Materialism & Idealism (Spiritualism, Theism, etc). This work does not promote or refer to any other philosophy/ darsana / body of knowledge. Since 1980, many ordinary & eminent people, many humans, came in touch with Sri Nagraj and spent substantial amounts of time trying to learn what he had understood. Many of us took to this Study seriously, recognizing it resolved all human questions. These efforts slowly took the shape of a program to disseminate this understanding among people and to bring it in school & higher education. 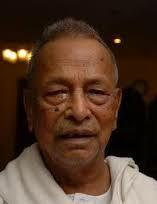 Shri Nagraj lived in Amarkantak from 1950 to 2016 with his wife, children and grand children. An accomplished Ayurvedic medicine practitioner, he didn’t take any financial assistance from anyone. He supported his family and those of many others via agriculture, dairy and medicine. They Study and Practice of Madhyasth Darshan is in order to understand Existence- all that exists; know ones Self, and know Human Living. Shri Nagraj spent the first 30 years of his life in Karnataka and the latter 66 years in Amarkantak, MP. He passed away on 05 March 2016 having lived the life of a human, having known what it is to be human, having taught what it is to be human. ‘sadhana’ – taming the mind, intense mental practice. ‘samadhi’ – penultimate state of meditation according to Indian Vedic thought in which the ‘unknown’ is said to become ‘known’. ‘sanyam’ – a state of knowing beyond samadhi.